Are you looking to tap into the power of Google+? Is your business leveraging all that Google+ has to offer? Have you created a personal profile or business page on Google+, but want more influence? According to GlobalWebIndex, Google+ now has 359 million active users, which puts it ahead of Twitter’s 200 million active users. With that jump in numbers, it’s clear that now is the time to use Google+ to promote your brand. Here’s an updated guide on all of the things you need to take advantage of Google+ to gain more exposure for your content and your business. Google uses Authorship to create a visual tie between you and the content you publish. The enhanced search result listings help readers identify your content at a glance and help you build authority and influence. 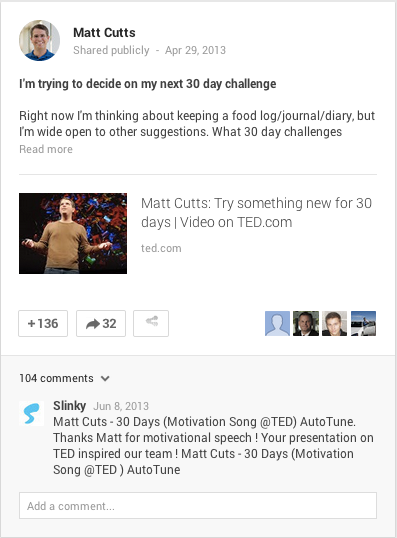 There are two ways you can claim your Google+ Authorship. 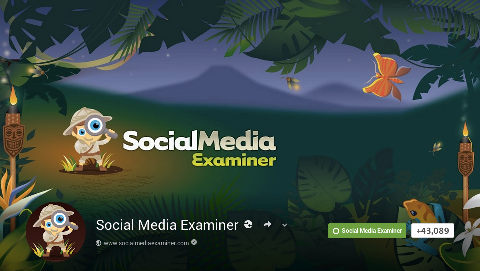 You can either register an email from the domain that you contribute to (you@socialmediaexaminer.com, for example) or you can link your content with your Google+ profile. If you contribute to multiple blogs, I suggest the latter. Next, go to the Contributor to section on the About tab of your Google+ profile and add a link to your author page for each blog that you contribute to. 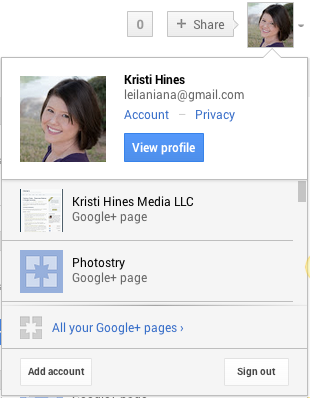 Add contributor links on Google+ personal profiles. When you’ve claimed your Authorship, your Google+ profile photo will automatically show up next to each of your posts in search results. 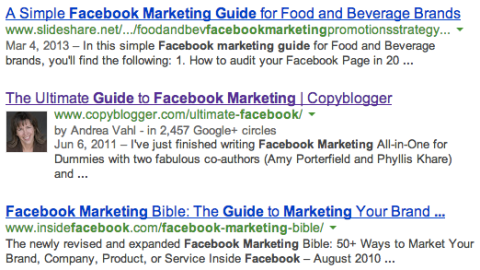 An example of how content looks in search results with Google+ Authorship. As an added bonus, you can look under the Labs section of Google Webmaster Tools to see analytics for all of the posts that are linked to you via Google+ Authorship, including posts that aren’t published on your own website. This is especially helpful for writers who contribute to multiple blogs. 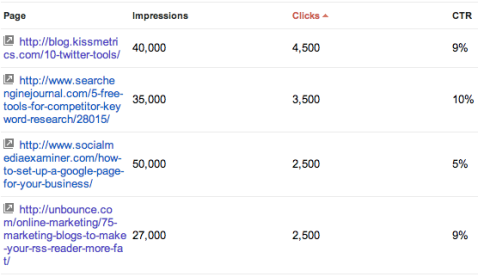 Viewing analytics for all your Google+ Authorship-claimed posts in Google Webmaster Tools. Google has hinted that they are working on a system to rank content based on the influence of the author and it’s presumable that one of the ways they will do this is through the use of Google+ Authorship. Claiming your Google+ Authorship will enhance your visibility in search results, create more authority for your content and provide valuable insights into which content receives the most attention from readers. The Google+ badge allows you to link your Google+ page to your website. Using the badge will help you increase your Google+ audience from your website and from within search results. Install a Google+ badge on your website to let readers follow you on Google+ without leaving your site. 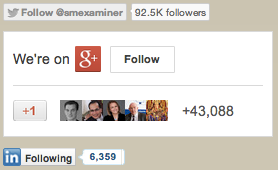 Social Media Examiner’s Google+ badge in the sidebar. When you add the Google+ badge for pages to your site, an active Follow widget will show up next to your listing in search results. Google+ page display in search results. You can also use the Direct Connect option to link your Google+ page to your website without using the official Follow badge or button. This is simply one line of code that is added to the <em>head</em> element of your website. This code can be found further down on the Google+ badge page. Much like Authorship for Google+ profiles, this piece of Direct Connect code will help establish your blog as a publisher by tying it to your Google+ page with a rel=“publisher” tag. Direct Connect your Google+ page to your website. 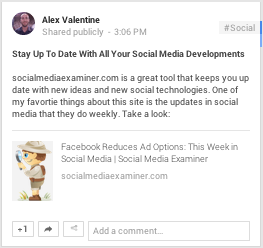 Once you connect your website to your Google+ page, the latest status update (and timestamp) will show up in search results. Ensure the best first impression to visitors who may come across your Google+ page in search results and keep your page posts up to date. Use the connection between your website and your Google+ page to increase your followers and establish your business as a source of quality, authoritative content. Hashtags are a useful tactic to get added exposure to users beyond your followers and Google+ has recognized them for a long time. But now they are prominently displayed next to every update. If you don’t voluntarily place hashtags in your updates, Google+ will sometimes suggest hashtags for you. Be sure that what it chooses is in line with the topic of your update. If you’ve visited your profile or page recently, you’ve likely gotten the message that Google+ cover photos are now bigger. Take advantage of this great visual branding opportunity and upload an impressive design that is 2120 pixels wide by 1192 pixels high. Social Media Examiner’s cover photo. You can use your cover photo to showcase your new products, express your brand’s image, share your physical location, show what your average customer looks like and advertise your next major event. With a good photographer or graphics team, the possibilities are endless. Boost followers and exposure on Google+ for your business page instead of your personal profile when you interact with others on Google+ as your page. To make the switch from your personal profile to your page, click the dropdown arrow next to your picture at the top right of your Google+ screen; your page will be listed under your active profile. Simply click on your page and you’re ready to go. Select your Google+ page to use it throughout the network. Now, you should see the photo for your page at the top of your Google+ display. Similar to how you can use your Facebook Page to like and comment on other Facebook Pages, you can use your Google+ page to +1 and comment on other Google+ pages. A Google+ page’s comment on another Google+ page. Use your Google+ page when you interact with people in Google+ communities and to interact with the people (personal profiles) who are following your page and people who share public updates, regardless of whether they are following you. Find the most active Google+ pages, public personal profiles and communities to start interacting with and you will gain more exposure for your Google+ page and your business. If your business isn’t ready to invest in webinar or online meeting software, Google+ hangouts can be a great, free alternative. While you can only have 10 participants actively on video, you can stream the video to an unlimited number of viewers using YouTube, making it much like a webinar. Google+ hangout with multiple panelists. You can use Google+ hangouts for a variety of things including interviews, panel discussions, live webinars (with screen-sharing), private meetings and just about anything else you can think of. Best of all, you can keep the recordings to add to your YouTube channel, boosting your video content. 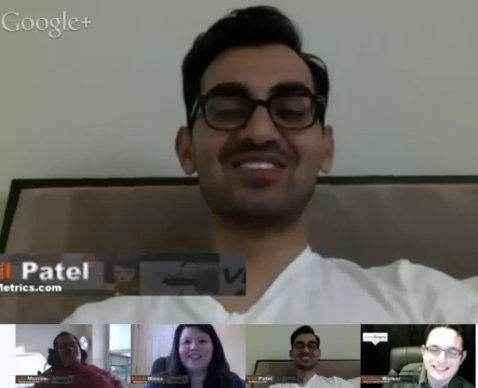 Head over to the Google+ hangouts page to see all of the live hangouts happening right now. You might find some open invite hangouts that you can jump into to get to know your audience better or you can create an open hangout party in the hopes that some members of your Google+ audience are online and want to chat. Google+ has a large variety of communities to choose from, similar to the selection you might find on Facebook or LinkedIn. If you can’t find the right community for your business, you can create it using your personal profile or your page. 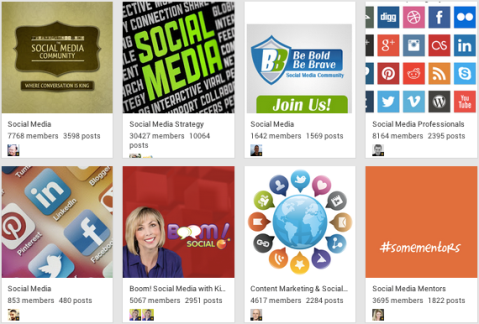 A selection of Google+ communities formed around social media. Like many other social network groups, Google+ communities attract spam but Google+ has the best spam management system in terms of catching spam and holding it for approval by the moderator instead of making it public. Moderators can also quickly remove and ban users who repeatedly spam. If you want to circumvent spam in your own conversations, create your community as private and invite people of your own choosing. Alternatively, you can set your community as public and moderate all requests to join the community. Google+ has replaced Google Places and customers who are on Google+ leave reviews on your local Google+ places page regardless of whether you are active there. Why Is Google+ so important for local businesses? 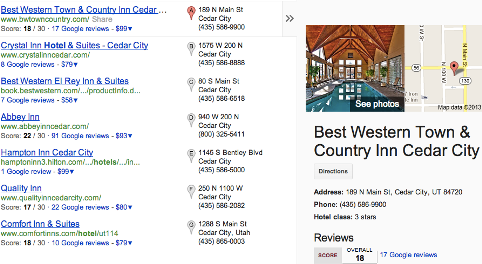 First of all, search results now show the reviews, additional details and photos on your Google+ local places page. Google+ places page in search results. 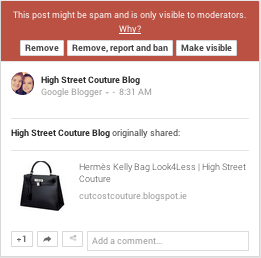 Next, Google+ local users receive prompts to review your business if they search for it on Google. 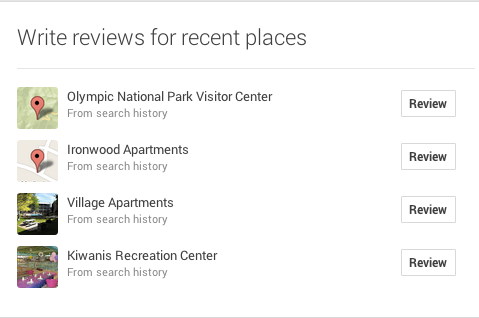 Suggestions for places to review on Google+ from a user’s search history. Last but not least, Google+ is looking to become an even bigger resource for local through their mobile app for iOS and Android. 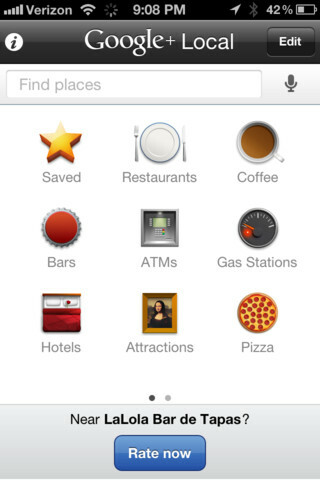 The main screen of the Google+ local app. If you don’t have a Google+ local places page or haven’t claimed yours yet, you can start by going to Create a Page, select Local Business or Place and enter your phone number. Google+ will connect you with your page if it already exists or prompt you to create one. From claiming Authorship to participating in communities, these Google+ features can do a lot to help you establish authority, increase visibility and grow an audience. What do you think? Have you used any of these features? What Google+ features do you find most beneficial for your business? Please share in the comments!